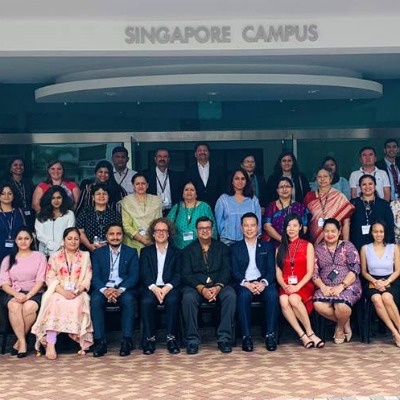 SP Jain School of Global Management held its Annual Educators’ Summit 2018 at the Singapore campus from 25th October to 28th October 2018. 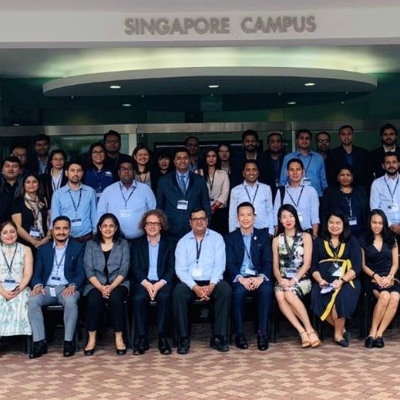 Attended by over 60 guests from all over the world, the campus saw a bustle of activities as agents and counsellors had a first-hand experience of what students would usually go through as they embark on their SP Jain journey. 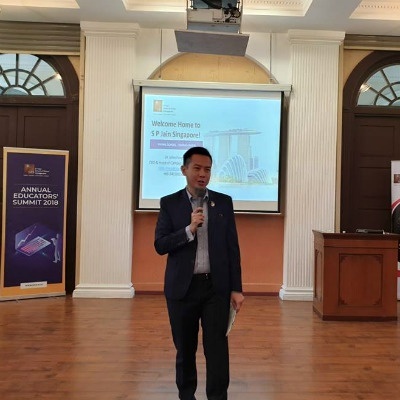 Starting with a Welcome Address by Dr John Fong, CEO & Head of Campus (Singapore), SP Jain, guests were invited to participate in an icebreaker session, where they got to know their peers a little better, along with a short introduction to Singapore. 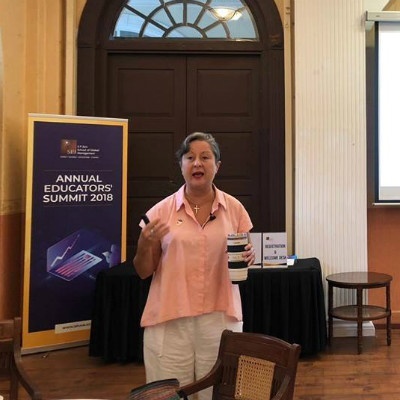 One of the key highlights of the summit was an exclusive preview of the Engaged Learning Online (ELO) technology – a powerful new way to learn online by SP Jain. The presentation of the interactive and innovative platform was led by Mr Nitish Jain, President of SP Jain, where he shared how students worldwide can remotely log into ELO and get all the benefits of an on-campus education. They can interact with world-class faculty, share ideas with their peers, collaborate on assignments, break out into virtual teams to discuss and debate…all in real time. Currently, only a handful of top schools in the world offer such immersive online experiences to their students and we are proud to inform you that we are amongst the very first in Asia to do so. The first program to be delivered using this futuristic technology is our Australian-accredited Executive MBA program. 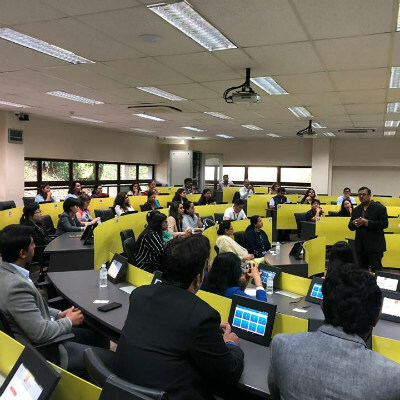 The summit also drew attention to one of SP Jain’s latest innovations on campus – the Engaged Learning Classroom (ELC). With the newly installed tablets in the classroom, Professor Golo Weber, Assistant Dean (Undergraduate Programs) of SP Jain, conducted a demonstration which allowed attendees to experience a simulated classroom with SP Jain’s new app. With exciting features such as being able to virtually raise your hand to ask a question, participate in a quiz and poll, benefit from advanced note-taking capabilities including recording, drawing and sharing of documents – all in real time – the app aims to increase engagement between faculty and students. 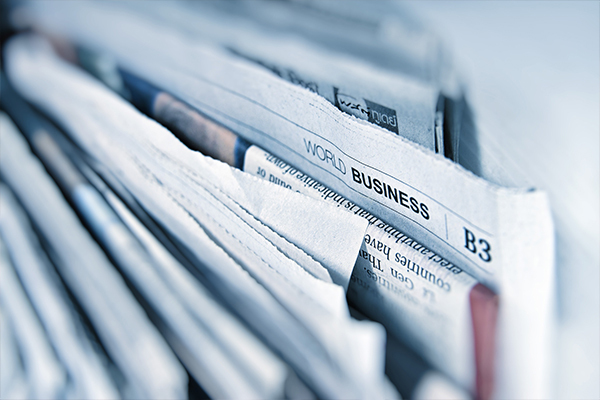 The four-day event was divided into two mini conclaves – one each for the agents (25th October and 26th October) and counsellors (27th October and 28th October) – to accommodate the diverse group of attendees.